Synopsis: Los Angeles citizens with vastly separate lives collide in interweaving stories of race, loss, and redemption. Did You Know? 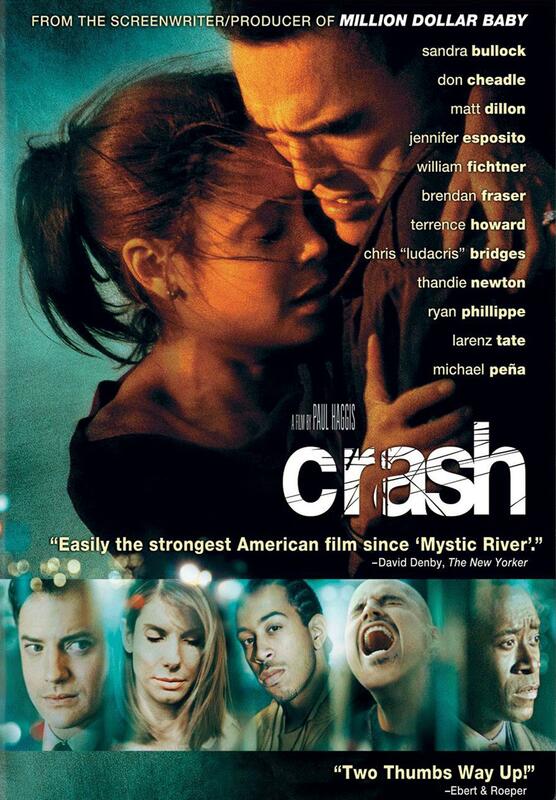 Crash is the most recent film to win the Oscar for Best Picture without receiving a Best Picture nomination at the Golden Globes. This dark horse Academy Awards contender snatched the Best Picture Oscar right out from under the nose of front runner, Brokeback Mountain. The film attempts to shatter racial prejudice by pointing out that even the best of us can be clouded with ignorance, but by so doing it inadvertently perpetuates racial stereotypes. I think Matt Dillon gave a good performance, but if any actors deserved Oscar nominations for this film it was Thandie Newton, Michael Peña, and Shaun Toub. Thandie Newton screaming at Matt Dillon to get away from her while she’s hanging upside in her car while flames trickle toward her is such a powerful scene, equaled only by Michael Peña’s daughter jumping in front of him to protect him from Shaun Toub. It’s a good film with good intentions, but I still think that Brokeback Mountain was cheated.